On October 16, 2017, Airbus announced plans to buy a majority stake in the Bombardier C Series jetliner program, potentially providing the Canadian planemaker a way out from the trade dispute with Boeing. As a result of the deal, Airbus will acquire a 50.01% interest in C Series Aircraft Limited Partnership (CSALP), the entity that manufactures and sells the C Series. Bombardier and Investissement Québec (IQ) will own 31% and 19%, respectively. Under the agreement, Airbus will provide access to its marketing, sales and customer support network and its aerospace manufacturing supply chain. Airbus CEO Tom Enders said there hasn’t been a sale of the A319, the 126-seat model, since 2012. The CS100 seats 100-110 and the CS300 135-145 passengers. As a result, the C Series presents no competition to Airbus because of the lack of sales for the A319. Boeing, on the other hand, offers the 737-700, which will be phased out with the 737-7 MAX. Poor sales of the 7 MAX prompted a redesign, adding 12 seats. President and Chief executive officer of Bombardier Alain Bellemare said that Airbus is the perfect partner for the company, Québec and Canada. According to the deal, Airbus has offered to assemble some of the narrow-body jets at its US plant in Alabama for orders by American carriers. CSALP’s headquarters and primary assembly line and related functions will remain in Québec. The US assembly line would mean the jets would not be subject to possible US anti-subsidy and anti-dumping duties of 300%, Alain Bellemare said during a media conference call. This means American Delta Air Lines might have to reschedule its deliveries of jets from Bombardier, if the US government doesn’t reverse preliminary findings on the duties or the US Court of International Trade or another venue doesn’t overturn the findings. In 2016, Delta ordered 125 new CS100 jets from Bombardier. The deal sparked allegations by Boeing that the planemaker had sold the C Series to Delta at “absurdly low prices,” CNN informs. Boeing took its case to the US Department of Commerce, claiming the sale had harmed the U.S. manufacturer and its single-aisle 737 products. The Commerce Department preliminary ruled in two separate cases the C Series should be subject to import tariffs as much as 300%. But Delta Air Lines says it is not going to pay these taxes, claiming that the C Series debate or the decision from Commerce is not just disappointing, it doesn’t make a whole lot of sense. However, Delta’s CEO said there may be a delay in taking the aircraft. “We work through the issues with Bombardier, who’s being a great partner in this. We think that the aircraft needs to come to market, we believe it will come to market, and we believe Delta will get it at the agreed contractual price, ” says Edward Herman Bastian. “It’s a very good move to bring this aircraft to the US because the US is the single largest market for this segment,” said Airbus CEO Tom Enders said. The UK government must step up pressure on Boeing to ensure the withdrawal of ‘crushing’ tariffs on Bombardier’s C-series passenger jet Britain’s largest union, Unite said on October 17, as it warned there could be “no room for complacency” following news that Airbus was taking a majority share in the C-series aircraft. Currently, Bombardier employs around 4000 people at its Belfast, Northern Ireland, plant. A quarter of those workers are involved in the construction of C Series wings and fuselage. Unite trade union, representing Bombardier workers in the UK, has a positive outlook regarding the Airbus announcement. “This news gives us cause to have some hope, but we are far from out of the woods and there is still much work to do to secure Bombardier jobs in Northern Ireland and the rest of the UK,” Unite assistant general secretary with responsibility for aerospace Steve Turner said in an official statement. GMB, another trade union representing some of the Bombardier workers in Belfast welcomes the deal as well, but remains wary, as the details of the deal are not clear yet. 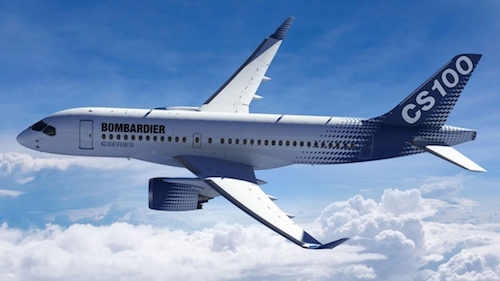 “GMB hopes both Bombardier and Airbus have taken cast iron legal advice to ensure they don’t get rid on one legal challenge only to open themselves up to another,“ Ross Murdoch, GMB National Officer, said in an official statement. ← Can fining airlines help Indian airports run efficiently?